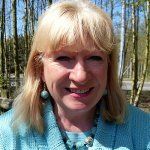 My name is Judith Schatunowski and I am a fully qualified Clinical Hypnotherapist, Psychotherapist, Counsellor, Mediator, NLP, CBT and Hypnobirthing Practitioner in Ashford. My aim is to help you to improve the quality of your life by addressing any issues you may have with the most suitable therapy for you. I work with private clients on a one-to-one basis and with businesses across the South East Kent area out of two clinics around Ashford - both in beautiful, peaceful, tranquil locations. 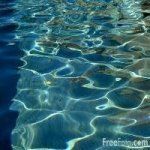 You may be looking at my site because there is a problem in your life which you want to change......so please take the time to look at my other pages as I would like to be able to help you! I am fully qualified and adhere by the Code of Ethics of both the Hypnotherapy Society and the Counselling Society. All my work is carried out on a strictly confidential basis. So please be assured that you are dealing with a true professional. Bad Habits - Nail biting/Snoring etc. The old adage 'A problem shared is a problem halved' is so true! Sometimes problems can get the better of us and make our lives a misery. Whilst it is good to talk to family and friends they are not professionally trained in dealing with the issues you may have - indeed there may be problems of a more sensitive nature which you feel you are unable to share with friends or family and maybe have been hiding deep down for some time. Contact me today for more information on any of my services. I am a qualified Hypnotic Birthing Practitioner having trained in the Easibirthing method of Hypnotic Birthing.